THE VOICE OF THE LEMON in McDonald’s new summer Frozen Strawberry Lemonade inspired spot from Tribal DDB might sound familiar to The Sopranos fans. 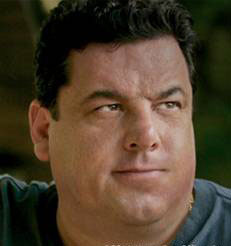 It belongs to Steve Schirripa, a.k.a. Bobby “Bacala” Baccalieri, who moved from mobster to mouthpiece of the talking animated Lemon. The Lemon boasts how delicious a lemon can be, when pureed, sweetened and sucked with a straw, a la the new McDonald’s drink, proving that lemons are best made into lemonade. The animated online work is entirely Tribal DDB’s. Credits: GCD Jim Marcus, ACD Brian Tecka, senior copywriter Deb Pahl, S/AD Josh McGuire, project manager: Laura Knudson and tech lead Justin Hood. FOUR “HOME MOVIE” SPOTS by the Daily Planet and client Blue Cross Blue Shield were literally culled from hundreds of hours of home movie footage, as part of the insurance company’s 75th anniversary celebration this year. BCBS advertising director John Ori collaborated with Daily Planet’s senior editor Matthew Hane to find touching, funny and poignant family moments from 8mm, Hi-8, digital-8, VHS, S-VHS and iPhone films provided by 30 of Ori and Hane’s families and friends. There’s no narration; the spots use the song, “Home,” by Edward Sharpe and the Magnetic Zeros. Animated titles were designed by Daily Planet’s motion graphics head, Jon Adler. The regional campaign airs in Illinois, Texas, Oklahoma and New Mexico. VITAMIN TOTALLY CONCEPTUALIZED, from concept to finish, its second spot this year for Nike, promoting the new Lunarswift_2, a redesigned version of the classic Nike running shoe. Nike provided Vitamin with a brief about the new shoe and the technical specifications that had to be included, but everything else was up to the Vitamin team, headed by creative director Danny DelPurgatorio. Art director Matt Beharry designed the futuristic testing facility where the shoe retooling takes place. 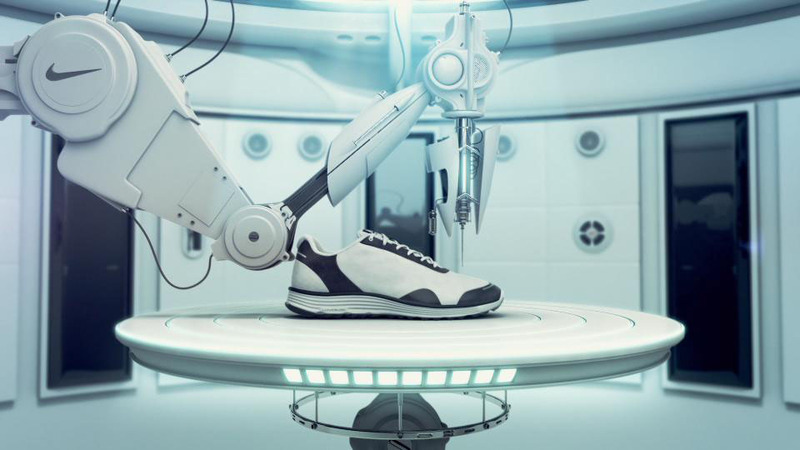 A sleek robotic arm uses a laser to cut a breathable pattern into the shoe’s surface while a gyroscopic pedestal tests its overall performance. Another robot arm swings into view, cradling a display showcasing the shoe’s available color stylings and the “Run Cool” slogan. Art director Rob Foster and AD/3D lead Linas Jodwalis headed the modeling, animation and compositing team. Lab conceptual design came from Tony Legato and other elements were prepared by Vitamin’s CG artists. Todd Beyer created the ethereal soundtrack and sound design. What’s new with your company? Send info about your latest and greatest project to Ruth@reelchicago.com.